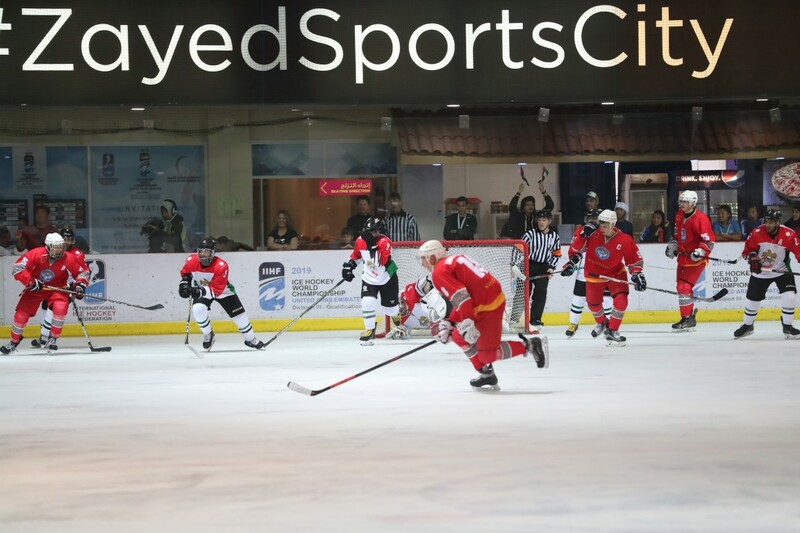 The United Arab Emirates team was proclaimed leading in the Asian qualifiers for the Ice Hockey World Cup with 12 points despite losing the final match to Kyrgyzstan on Saturday. The International Ice Hockey Federation canceled the results of the match on the grounds that the Kyrgyz team violated the rules of player registration, thus proclaiming the UAE as the winner. The Asian qualifiers for the Ice Hockey World Cup were opened in Abu Dhabi Ski Hall in Zayed Sports City last Sunday, UAE News Agency (WAM) reported.